This Muay Thai Kickboxing training session was filmed during an afternoon session with Kru Jamie Ridgeway at the Renaissance Academy in Lynchburg, Virginia. What if you could do something you enjoy, while getting in shape, and learning to defend yourself all at the same time? Would you do it? In this Muay Thai Kickboxing training video Coach is teaching the Basic 1-2 Step Left. This is done with a jab, cross, then a forward step and left thai kick. 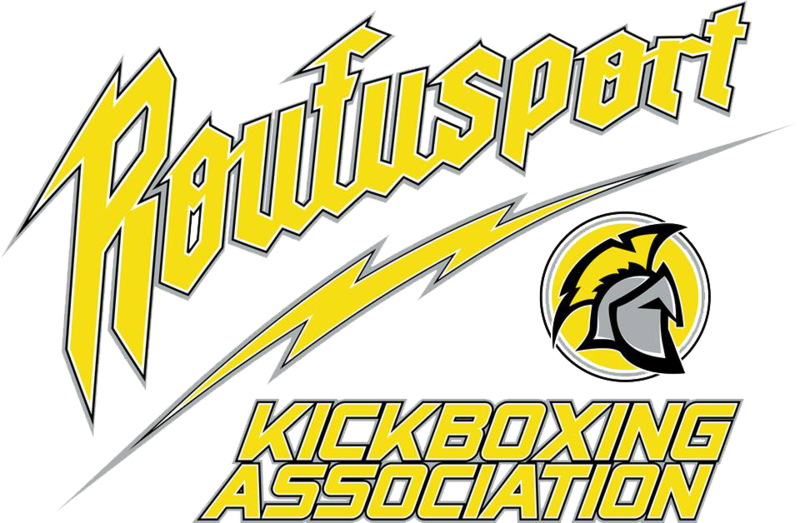 Renaissance Academy of Martial Arts Announces Affiliation With Roufusport Kickboxing Association. July 28, 2014 – Renaissance Academy is pleased to announce our affiliate membership in the Roufusport Kickboxing Association (RKA). Starting August 1st RAM will begin to implement RKA’s curriculum and level ranking system into our course offerings. This is the same time-tested and proven curriculum that 4-Time World Kickboxing Champion and legendary martial artist Duke Roufus, coach of UFC Lightweight Champion Anthony “Showtime” Pettis, developed and has been using in his academies for over 20 years. RAM was founded in 2000 and offers instruction in JKD, Muay Thai Kickboxing, CSW, Gracie Jiu Jitsu, Krav Maga, Judo, Karate and Capoeira. Offering classes for children and adults. “I’m thoroughly excited about the opportunity to bring the Roufusport method of martial arts to Renaissance Academy,” says Duke Roufus. “We’ve got an incredible program going at Roufusport and I can’t wait to start working with Jamie Ridgeway and their dedicated staff at RAM. If you’re serious about Martial Arts, you owe it to yourself to stop in RAM and see the program in action. Then you’ll understand why I feel it truly is the best available anywhere.” For more information on Renaissance Academy and the Roufusport Kickboxing program, please visit www.ramarts.com You can also find us on Facebook at Renaissance Academy of Martial Arts. We can also be reached at (434) 846-5425 Duke Roufus is one of the most recognizable striking coaches in North America, and is considered to be one of the top trainers of Muay Thai Kickboxing outside of Thailand. Roufus also runs the Roufusport Fight Club team, which includes UFC Lightweight Champion Anthony “Showtime” Pettis, along with UFC stars Erik “New Breed” Koch, Sergio “The Phenom” Pettis, Dustin Ortiz and Mike “Biggie” Rhodes, in addition to Olympic wrestler, former Bellator Fighting Championship Welterweight Champion and current One FC star Ben “Funky” Askren and current WSOF Featherweight Champion Rick “Gladiator” Glenn. Former students include former UFC Lightweight Champion Jens Pulver, The Ultimate Fighter (TUF) Season 1 star Stephan Bonnar, TUF Season 19 winner Corey Anderson, and UFC veterans Pat Barry, Matt Mitrione, Ben Rothwell and Jesse Lennox. Roufusport Kickboxing helps schools take their Martial Arts Academy’s Striking Program to the next level and well beyond by choosing a select group of affiliate members for the Roufusport Kickboxing Association (RKA). World Champion Kickboxer, Legendary Coach and Owner of Milwaukee, Wisconsin’s famous Roufusport MMA Academy, Master Duke Roufus, welcomes the opportunity to teach the proven “Roufusport Kickboxing” method in your school. Renaissance Academy of Martial Arts is the finest school in the Lynchburg area, dedicated to making your Martial Arts experience enjoyable and satisfying. Our instructors are the best. They have studied and trained for years to qualify as part of the Renaissance Academy of Martial Arts Team, and their primary goal is to assist you in being the best you can be.